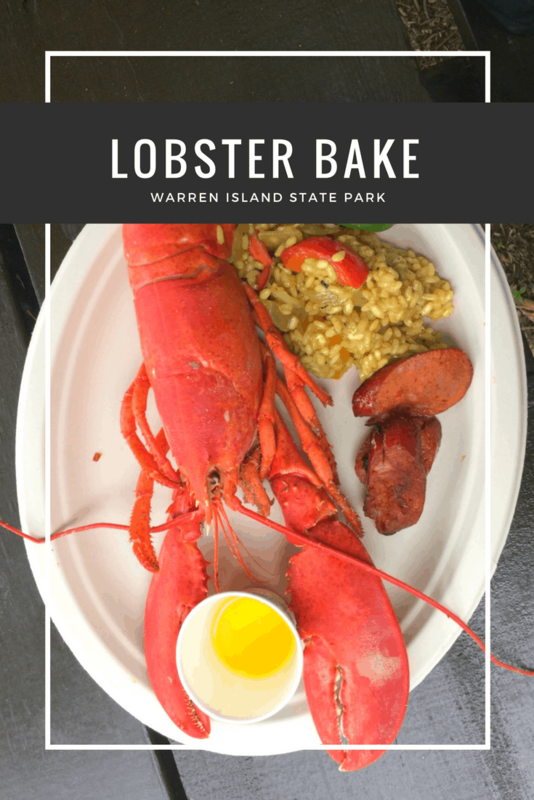 A couple of months ago, while sailing on the J & E Riggin, we spent the afternoon watching the crew create a lobster bake on Warren Island, and then enjoyed the bounty. This was without question my kid’s favorite part of the entire trip. They love exploring the woods and had heard there were some cool things to see…if you could find them. My girls love a challenge! Captain Jon took us in groups over to the island in the yawl boat as it was too shallow for the schooner. Once there, we just walked up the ramp and across the bridge. 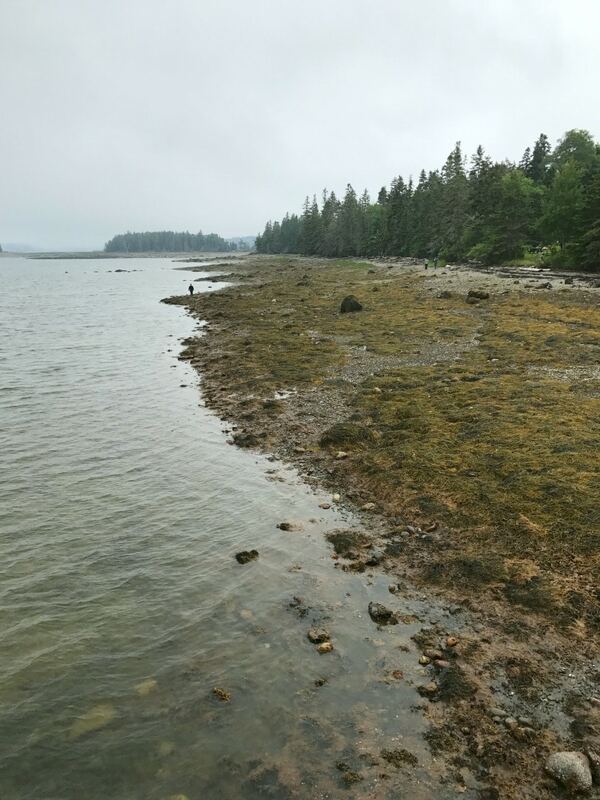 Warren Island State Park is located on Penobscot Bay in Lincolnville, Maine. The park was acquired by the people of the State of Maine as a gift from the Town of Islesboro in 1959. 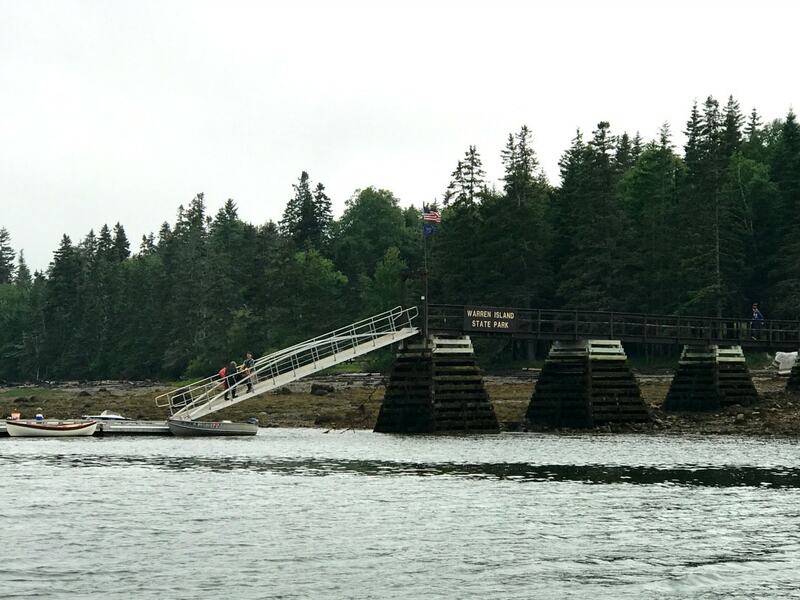 The 70-acre island was the first State Park in Maine developed exclusively for boaters. You can’t catch a ferry to the island, and you won’t find a phone. Your cell phone will probably not work either. Warren Island State Park is the perfect place to disconnect. 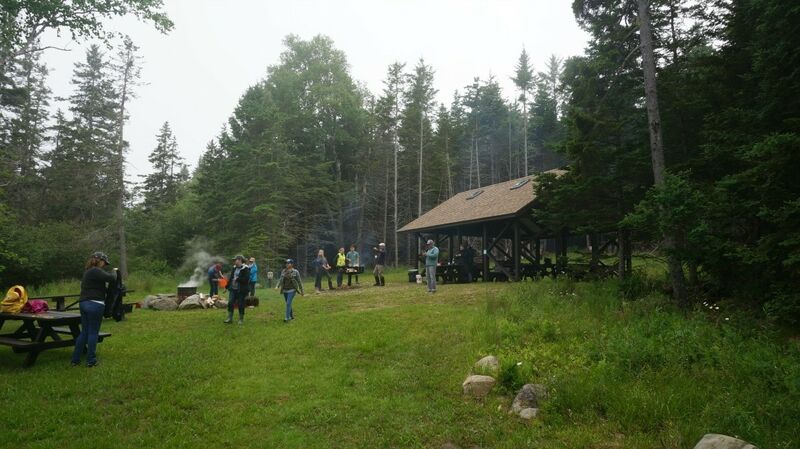 You’ll find twelve campsites and three Adirondack shelters for accommodations. You can rent a sheltered pavilion for a group, which is what the J & E Riggin did for us. We were given plenty of time to explore the beautiful forests of the park. A number of families had set up campgrounds along the walking trail. The island seemed to be a very popular camping spot. The trail stretched all the way around the island, leading to the beautiful beaches located on either end. 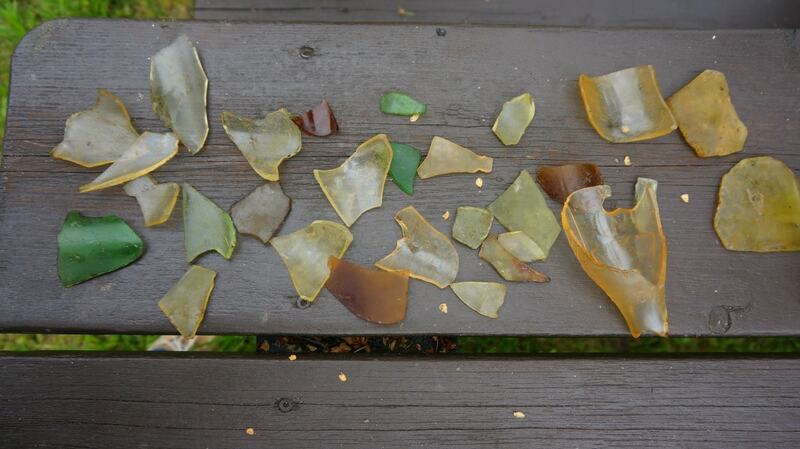 My daughters were told to keep an eye out for sea glass, and we even brought some home with us. The natural beauty of Warren State Park was really special, with many odd landmarks to mark your hiking progress. 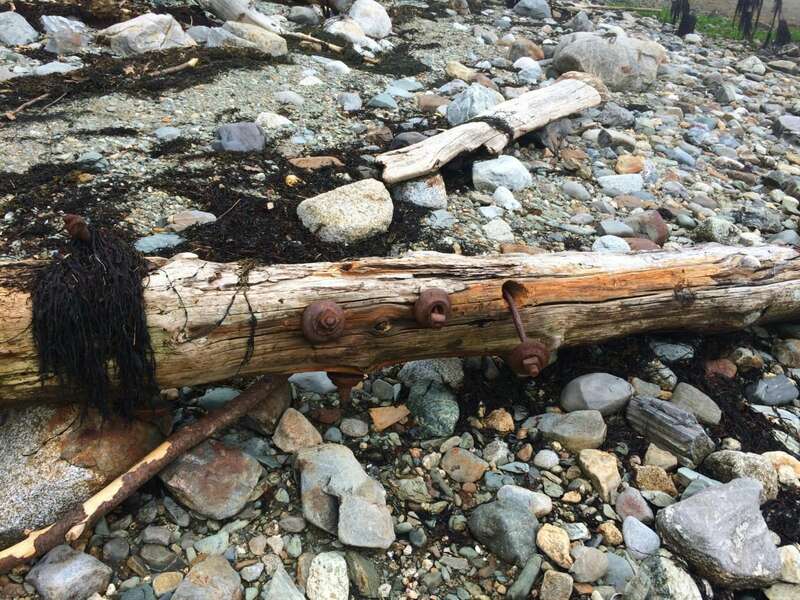 My daughters found ship parts and old poles strewn along the shores. They were able to walk through the ruins of a demolished home belonging to one of the island’s early inhabitants. Historical records show at least six families lived on Warren Island in the 19th century. 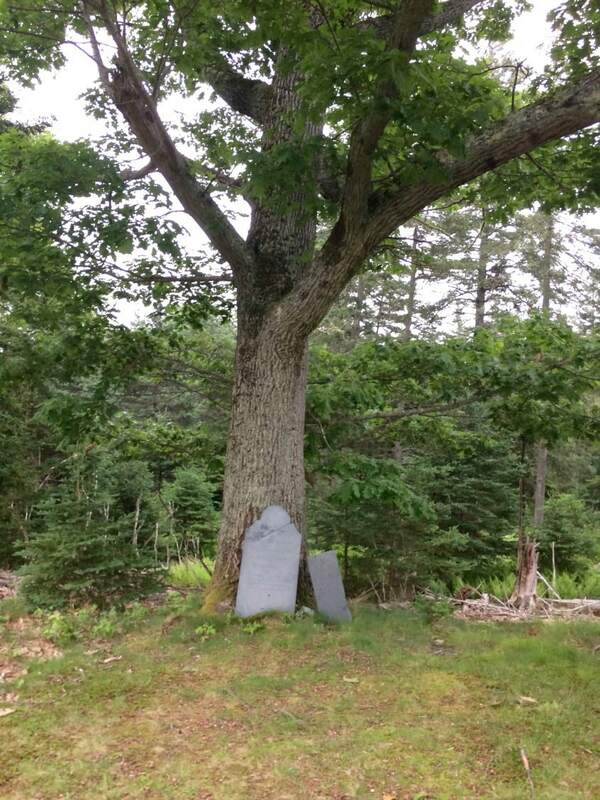 They even stumbled upon a pair of graves during their hike. 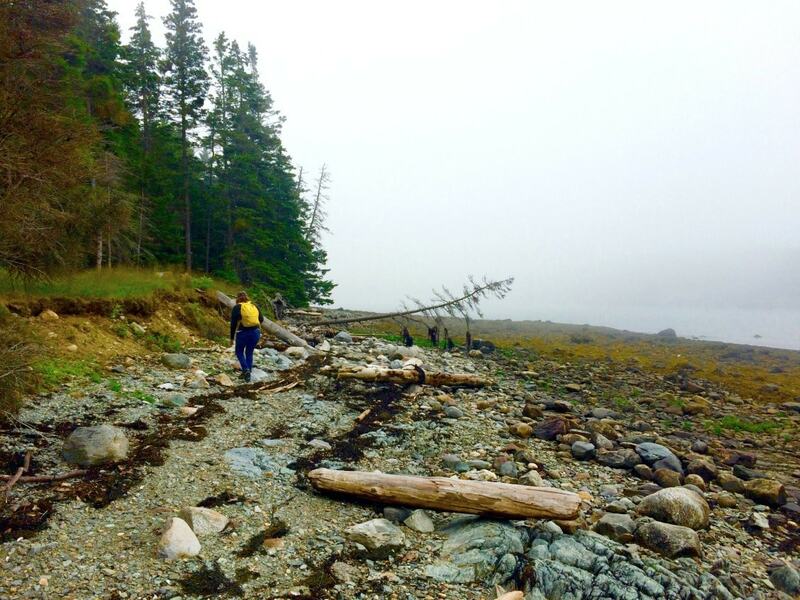 There is no record of a Thomas family living on the island, though there are stories that it’s the final resting place of a woman and her child. According to the headstone, Mrs. Zilica was only 22 when she died. We had been told the out-of-place burial ground was part of a local mystery. 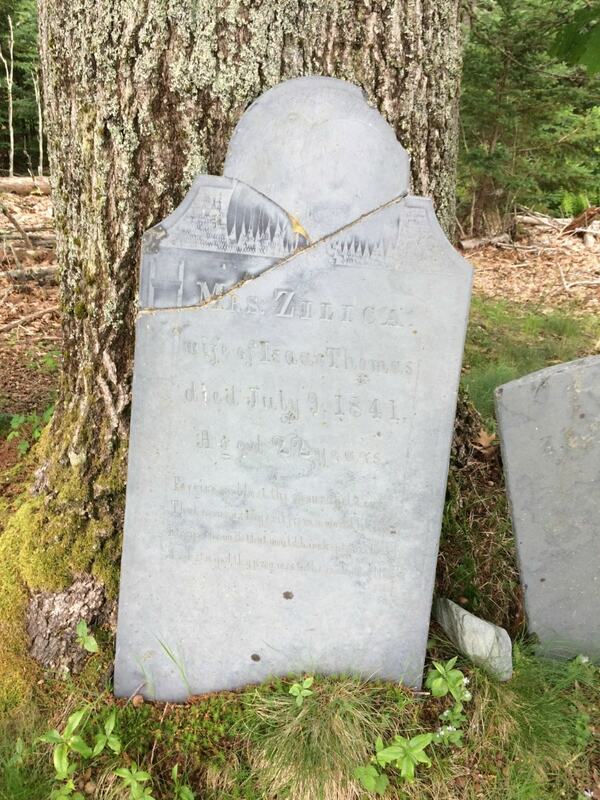 The headstones dated back all the way to the mid-1800s. Either way, there is a lot of history on the island. 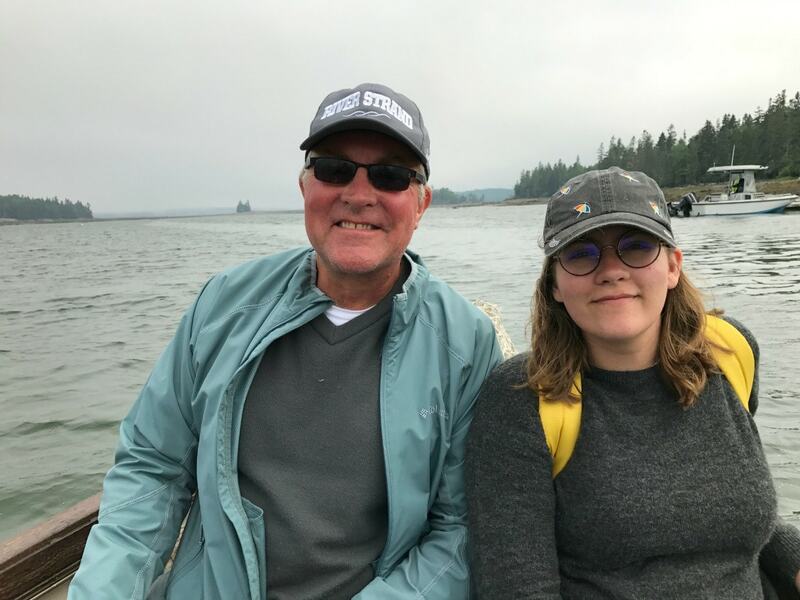 Though my daughters will remember our time on Warren Island as one of the most interesting hikes they’ve ever taken, my favorite part of the day was the food. Big surprise, right? 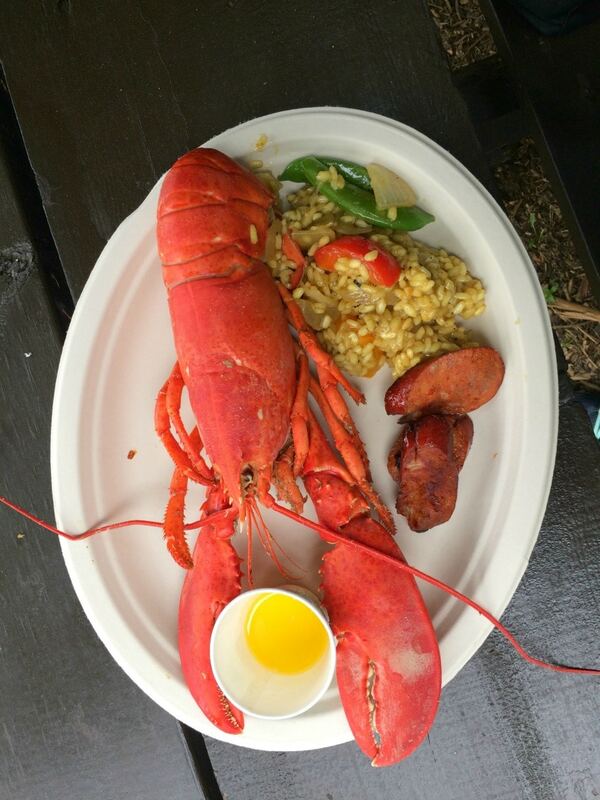 I’d never been to a lobster bake, so I couldn’t wait to see it how the meal was prepared. 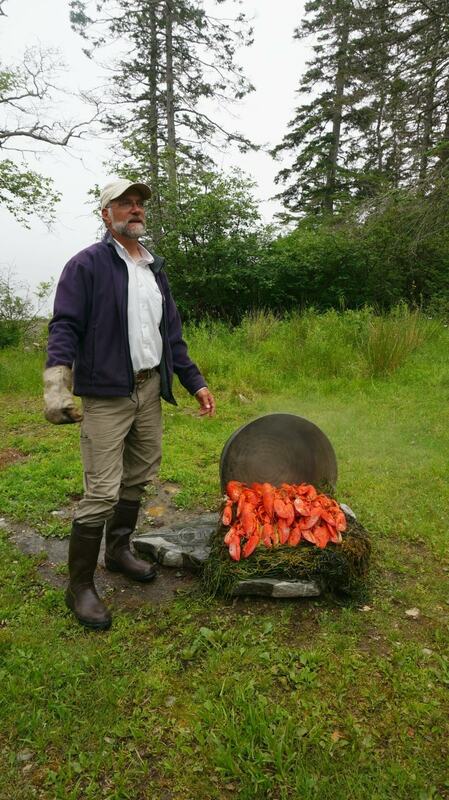 Annie Mahle brought along fresh-caught lobsters and shipmate Chives set up the pot over an open fire. In the pot went two to three inches of salt water. Once the water was boiling, lobsters were layered in the pot and covered with a ‘lid’ of sea weed in the traditional clam bake fashion. I did some research and really couldn’t find the purpose of the seaweed, but I’m guessing it’s to add natural salt and keep the seafood moist. Once the outer shell is bright red and the two antennae pull out easily, it’s time to eat. Captain Jon invited us to choose our lobster. All the while Chef and Co-Captain Annie Mahle had been giving directions and preparing the side dishes. If you want to see more of what Chef Annie created for us on the cruise, take a look at why I said this is the best schooner cruise for foodies. It was the most succulent lobster I’ve ever eaten, and my husband ate two. I heard there would be dessert so was saving room. 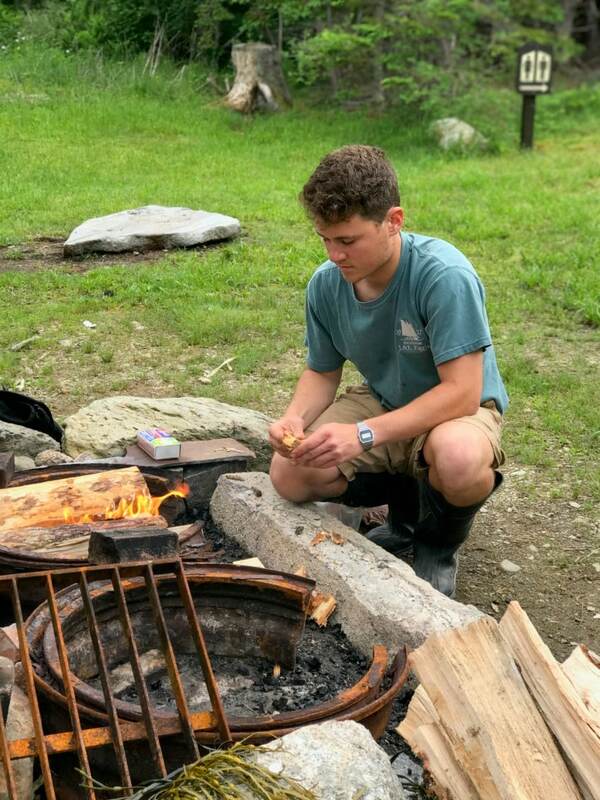 To top off our afternoon at Warren Island State Park, the crew set up ingredients for InsanoS’mores. 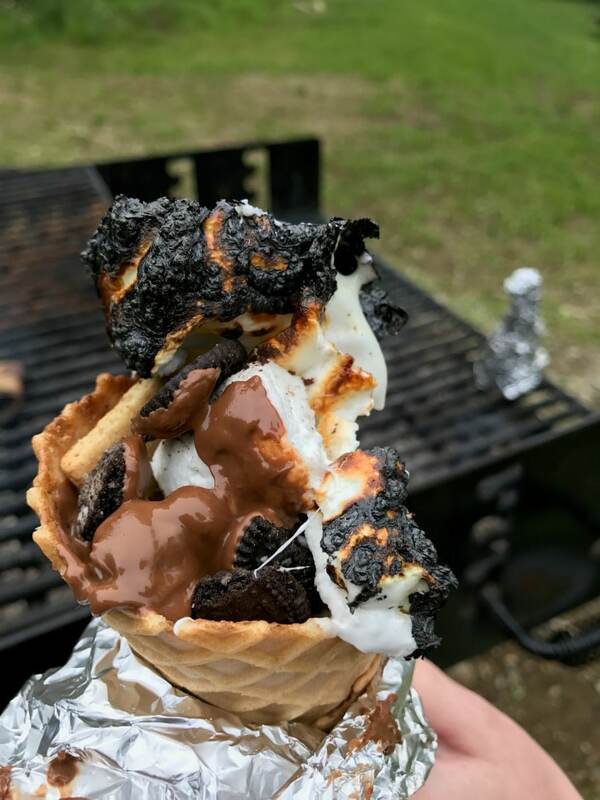 Waffle cones were laid out to fill with marshmallows, graham crackers and other cookies, and a variety of chocolate candies. Fill the cone, wrap it in foil, and place it on the hot fire. You have not experienced S’mores until you’ve eaten InsanoS’mores! 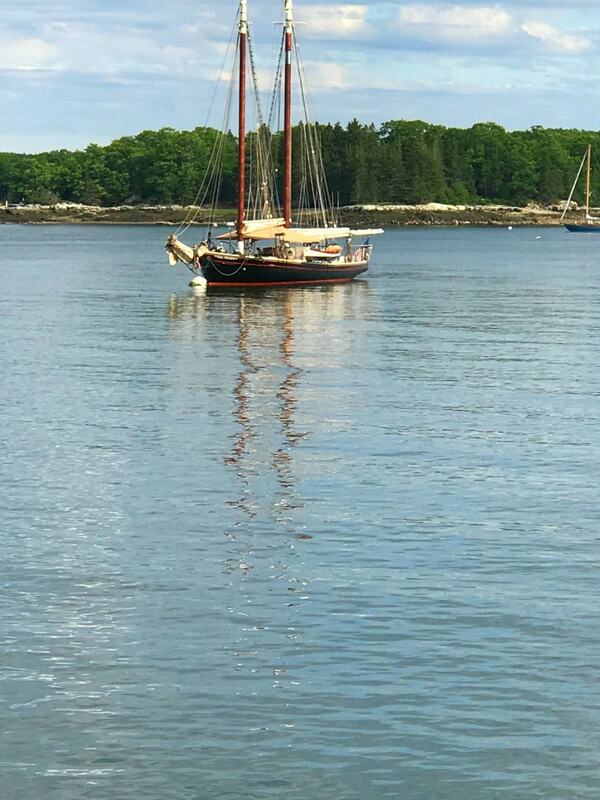 It had been a pretty perfect day, but by the end of it, we were looking forward to our beds on the Schooner waiting in the Bay. 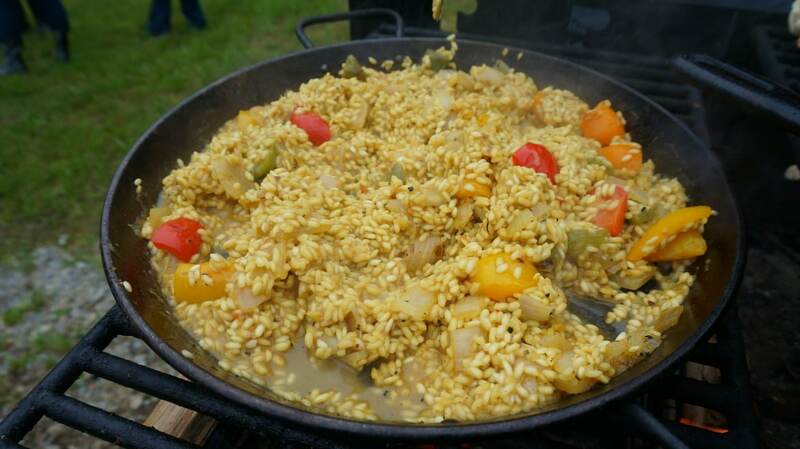 For a foodie who loves the water, the J & E Riggin Windjammer cruise was bliss. You can learn more on their website. There are even themed cruises, so you’re sure to find one that’s perfect for you. Be sure to tell them you saw it here! I was invited to sail on the J & Riggin in exchange for sharing it with you. All thoughts about how delicious the food was are my own.